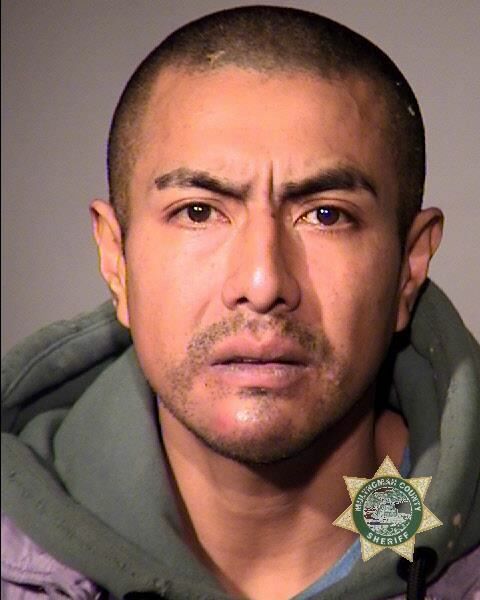 Portland police suspect Benito Zurita of stealing from Knott Street Grocery and taking mail. Police say one man is responsible for a string of thefts and robberies — including allegedly stolen mail, items taken unlawfully from a convenience store and a snatched purse. Portland resident Benito Zurita, 32, was arrested on Friday, Dec. 28 on two counts of second-degree robbery, first-degree burglary and possession of methamphetamine, which triggered a parole violation. He was also wanted on warrants for previous arrests for fourth-degree assault and harassment. Authorities say the investigation began around 7:19 p.m. on Friday, when the owner of Knott Street Grocery, 2709 N.E. 7th Ave., reported that a man stole "several items" from his store and "shoved" the owner to the ground while fleeing. The storekeeper suffered minor injuries and did not require transportation to the hospital. As officers converged at the storefront, police recieved another call at 7:36 p.m. stating that a man had reached through the open window of a ground-floor apartment in the 600 block of Fargo Street and stolen a purse. "The victim chased after the suspect, but stopped giving chase when the suspect reportedly told the victim he possessed a firearm," according to a news release. Police say the caller described a man similiar to the suspect description in the Knott Street robbery. At 8:06 p.m., another caller reported seeing a man walking on people's private property in the 3300 block of Northeast 22nd Avenue. Police found Zurita in the 2600 block of Ridgewood Drive. They claim that Zurita ran from police but was arrested in the 3400 block of 27th Avenue "without further incident." Police found stolen mail after taking Zurita into custody, but did not locate a gun. Zurita has been convicted of one felony, two misdemeanors and 11 parole violations, according to jail records. He was charged with fourth-degree assault and harassment on Dec. 26 of this year, but was released under his own supervision. In November of 2017 he was charged with menacing after he allegedly began to swing a length of steel rebar at a woman who had woken him up while he slept beneath a slide at Bloomington Park, according to a probable cause affidavit. Jail documents from that time indicate Zurita was honorably discharged from the military.